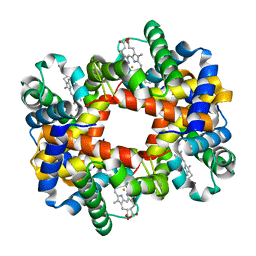 Authors: Asojo, O.A., Friedman, J.M., Belakhov, V., Shoham, Y., Adir, N., Baasov, T.
Cite: Crystal structures of KDOP synthase in its binary complexes with the substrate phosphoenolpyruvate and with a mechanism-based inhibitor. 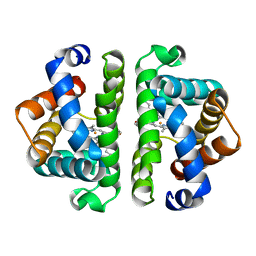 Authors: Zhang, F., Beals, J.M., Briggs, S.L., Clawson, D.K., Wery, J.-P., Schevitz, R.W. 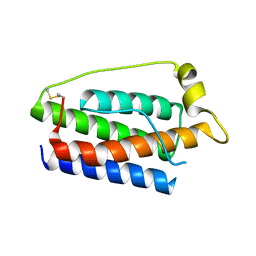 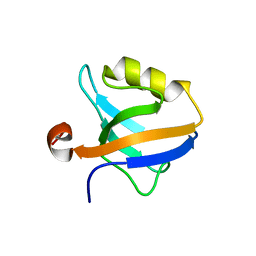 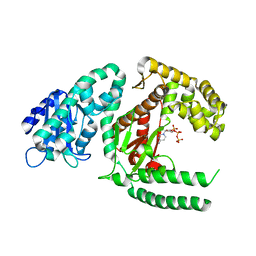 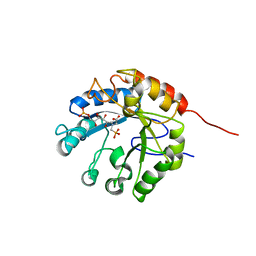 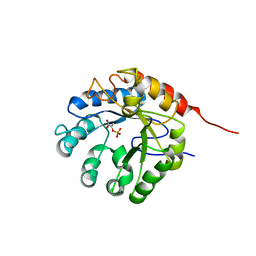 Cite: Crystal structure of the obese protein leptin-E100. Authors: Pata, J.D., Stirtan, W.G., Goldstein, S.W., Steitz, T.A. 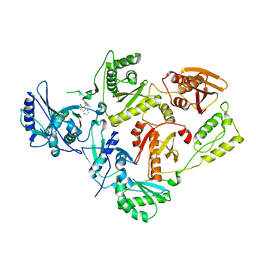 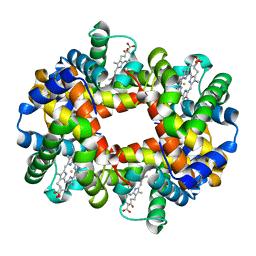 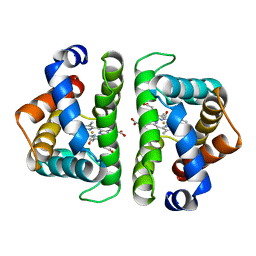 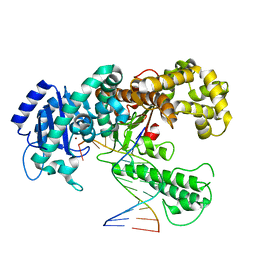 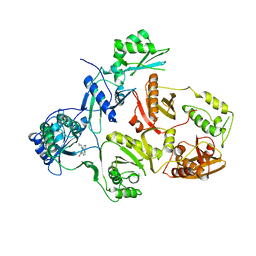 Cite: Mutational destabilization of the critical interface water cluster in Scapharca dimeric hemoglobin: structural basis for altered allosteric activity.